Review Context: I have not played The Witcher, but I did play The Witcher 2: Assassins of Kings for more than 4 hours. I stopped playing because I felt the game, specifically the combat, was too clunky. This review is based off of a review copy provided by Evolve PR. To run at 30FPS 1920×1080, the only thing changed from the high preset is the number of background characters from medium to low. High preset post-processing settings, screen space ambient occlusion (SSAO), and the only things turned off were depth of field, light shafts, and chromatic aberration. To run at 60FPS, I dropped resolution to 1366×768 with medium post-processing presets and medium graphics presets with number of background characters, shadow detail, and foliage render distance changed to low. The Witcher 3: Wild Hunt is a third person action RPG. 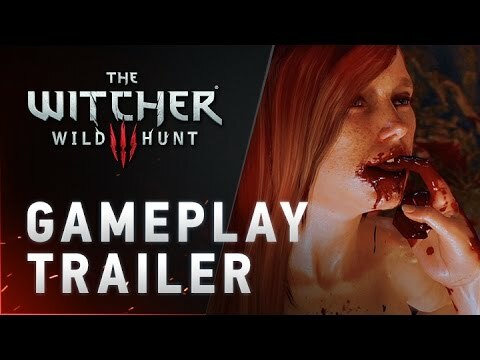 Advertised as the first truly next-gen RPG, The Witcher 3 is a grandiose story told in stunning detail with all the necessary elements of a great RPG; an interesting and exciting fantasy tale with lots of dwarves, griffins, elves and sorceresses, made all the more engaging for the graphical improvements of the new generation. In classic RPG fashion, the story changes throughout the game based on the decisions made by the player, whether at key points or during course of the whole game. The Witcher 3 does a good job of not making story altering decisions painfully obvious either. Yes, there are quick spur of the moment “Go left or right?” decisions, but those are exciting because of the grabbing storytelling. While the ending was quite satisfying, I believe I got one of the worst endings possible; very sad and foreboding, but it didn’t leave many questions unanswered, despite not knowing the story of the first two games. 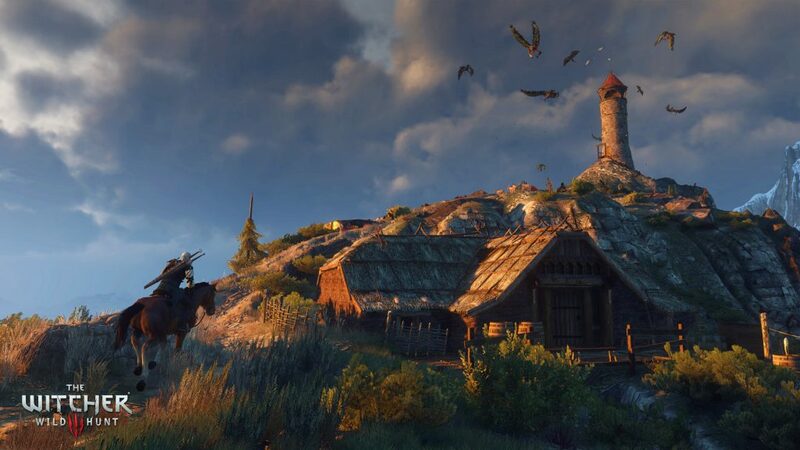 The Witcher 3: Wild Hunt”s main strength is its storytelling. Where the avid RPG enthusiast may have grown tired of the standard block of text and general dialogue of traditional RPGs, The Witcher 3 excels at grabbing the player and getting them enthralled in the story at hand. Like a good movie, the writing and acting is so enjoyable to watch that the knee-jerk reaction of “I should be playing not watching!” quietly waits to the side while the player enjoys the wonderful fantasy story that unfolds. With the dialogue rarely feeling superfluous or just for filler, simple RPG tasks of going to the quest giver don’t really feel like the same old task we’ve performed time and time again, The quality of the content, even on a side quest level, keeps them from feeling like side story. They have just as much engagement, storytelling, and are as fun as the main story missions but they don’t happen to advance the main plot. Not once did I do a mission that felt like a simple fetch quest. I believe there were a small few, but I hardly noticed it until re-examining it later. The Elder Scrolls V: Skyrim may have a bigger scale than The Witcher 3: Wild Hunt, but The Witcher 3 makes up for it with how much effort went into every nook and cranny of it. Not to say that Bethesda didn’t give enough effort, but because the scope of The Witcher 3 is smaller, the developers were able to spend more time on less quests and places. Add the next-gen power and it almost feels like how RPGs should be; no side quest givers who are far less well animated than the main characters, and dialogue that is as engaging to listen to as the monsters are to fight. The combat in The Witcher 3: Wild Hunt is more on the action side than some RPGs, which is what I tend to prefer. It’s very dynamic, requiring the skill of the player as much as the stats behind the blows. Blocking and parrying are possible on most weapon wielding enemies but big monsters require dodging. However, there are no invincibility frames here, no rolling through giant monster claws and living. Dodging successfully means completely moving out of the way of the enemy attacks. This can prove difficult, especially against large beasts, which gives The Witcher 3 a tactical feel. It takes good positioning, as well as good timing to stay out of harms way. In my opinion. this is much more exciting than the tried and true Elder Scrolls V: Skyrim method of running at them mashing light attack. Along side dodging and light/heavy striking with your sword, there are signs and potions/oils. Potions are temporary buffs that can be applied during combat and oils are buffs that can only be applied before combat and give a damage buff against a certain race of monsters. It’s very neat, as the game essentially rewards you for figuring out what you’re up against before it happens. Sometimes Geralt just says it for you, but sometimes he doesn’t get a chance. Signs, which are small spells, cast with simple hand gestures and are used during combat to compliment our sword fighting; a shield, a fire blast, a force push, a mind trick, and a magic blocker that tend to have advantages, or are super effective against certain monsters. Their effectiveness is determined by stats and ability points, so I chose to focus on signs during my playthrough. The way character progression works in The Witcher 3: Wild Hunt is split amongst a bunch of different factors. For example, the effectiveness of the shields spell, or Quen sign, is determined by ability points. Sign intensity is gained from both equipment and ability points, and how effectively the player uses it in combat. Melee damage is determined by ability points, but also by your equipment and player skill. Since the strength of your potions and oils is determined by recipes known, just because I pumped almost all of my ability points into magic and not melee or potions, doesn’t mean my potions or melee attacks are going to feel weak. All three aspects of combat work together when you fight, so if one were to be neglected and become ineffective, the core combat would be less dynamic. Not only does The Witcher 3 avoid this problem but does it in a way that produces one of the biggest draws for RPGs which is improving your character. Because the strength of most abilities are derived from multiple sources, there are so many ways to improve your character, since all of these sources need to be upgraded. You can level up, find a better sword, find a new potion recipe, learn a new monster weakness, get an ability point from a power well, craft better armor, apply stronger runes, and even get a nicer saddle for your horse. This constant character progression lends more worth to doing things in the world. I’m always getting that joy of finding a powerful sword or spending an ability point. I almost always come away with a character improvement after every quest, even for quests that I have outleveled. It seems as though rewards are based off of the character level, and the enemy difficulty is based on the level of the quest. The Witcher 3 is balanced so that the player will outlevel the game if they do every single quest. It seems as though the player is meant to not do certain quests in order to have an effect on the outcome of the story. The missions that the player decides not to do first, and thus out levels, often reflects the player’s opinions on their characters path. Thoughts like “I’m not gonna help him because he’s a …,” or “that seems like a bad idea, let’s not do that” lead to unfinished side quests and altered NPC opinions of the main character. Despite the content that isn’t completed, there is plenty to do in The Witcher 3 and plenty of loot to find. Plus on higher difficulties, more quests would need to be done in order to scale with the challenge, so no gameplay is truly wasted. The Witcher 3: Wild Hunt does a lot exceptionally well, but behind the high points are tested and polished RPG elements that fill any cracks in this RPG heavyweight: convenient loading design. unobtrusive inventory management, and a clear HUD and quest guidance make The Witcher 3 a joy to play. Travel times are kept low by frequent fast travel posts and quick horses. No half hour long journeys across the map only to respawn back where you started because you fell off a cliff. Anything can be skipped if the player so desires and the loading times are very fair. Apart from some glitches, graphical and otherwise, that tend to accompany a game this big, the only real flaw in the game is how difficult it can be to control your character in tight spaces. Sometimes controlling Geralt can be like driving a tank stuck in 5th gear. Often I find myself either slowly walking up to the chest I want to open or sprinting past it by accident. However, since this isn’t prevalent during combat, it really doesn’t affect the game as a whole and is merely a simple nuisance or small blemish on an otherwise awesome game. 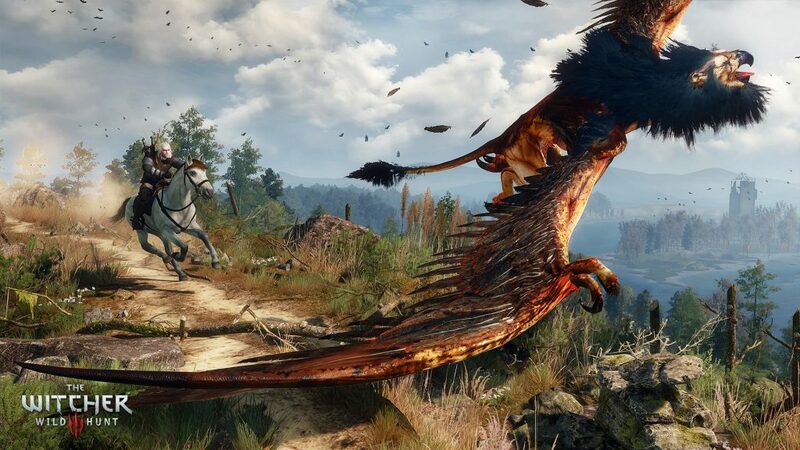 The Witcher 3: Wild Hunt, so far, is my vote for this year’s best game of the year. A fun and entertaining experience from start to finish with plenty to do. 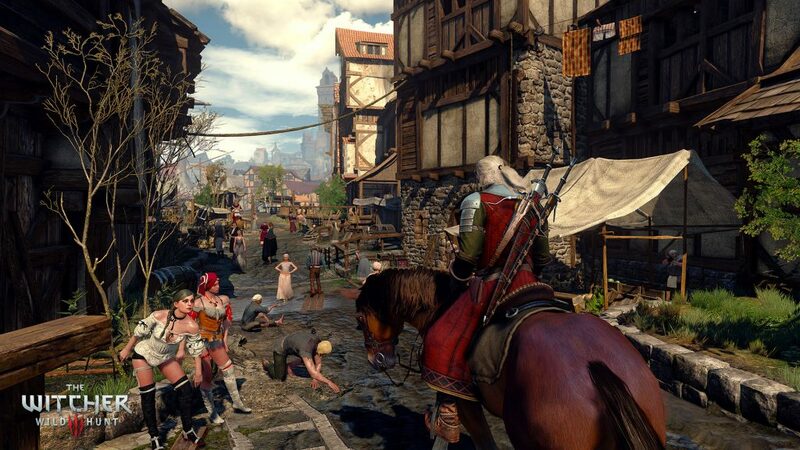 The Witcher 3 will stand as a major staple in the RPG genre for years to come.